What's On in the world of Weddings? All you need to know about Wedding Fairs, wedding programs on TV, wedding articles and wedding supplements in Newspapers, and Wedding Magazines. Listed by date. Be the first to know by joining the Mailing list, or click here to tell others. 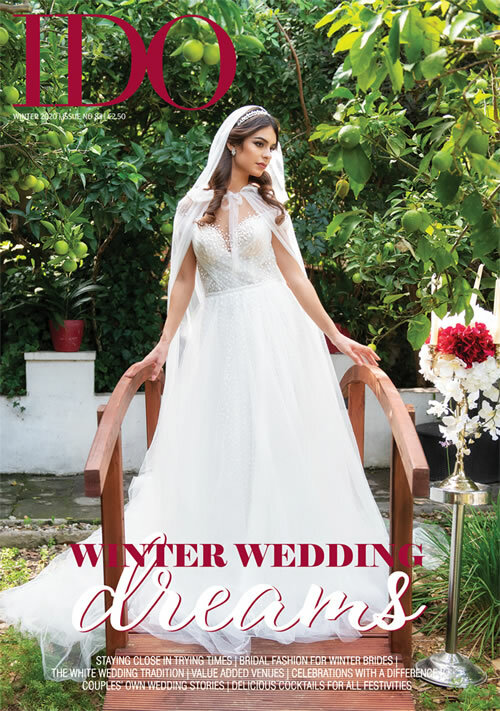 Welcome to the winter edition of I Do Magazine, it’s our last edition for this year. I cannot believe another year has gone by. For this special winter edition, we came up with an issue packed with fun, inspiring topics for this upcoming season. We have a white winter photo shoot, featuring modern wedding gowns and grooms’ wear, shot in the most spectacular Heritage Malta venue of the Inquisitor’s Palace, in Birgu. We wanted to create a contrast between modern styles with an ancient backdrop. The result is spectacular you can have a look for yourself starting on page 16. For the honeymoon section, we explored two dream getaways to inspire you for a winter honeymoon. I am sure you will want to book your flight tickets as soon as you read the article. You can do this while sampling some of the winter cocktails featured on page 15, before serving them at your pre-wedding party or the wedding reception itself. The inspiration page, which is one of my favourite features, is about various ideas for wedding favours, featuring also some local vendors’ ideas. Happiness is also one of my favourite topics, everyone wants to be happy I guess. And Ms Pauline Bondin came up with the topic about happiness in marriage. It’s the secret for a successful marriage. One thing I learnt from when my husband and I attended the Cana movement courses is that if you always give to your spouse and not expect anything in return, you will for sure live a happy marriage if, of course, your better half adopts the same technique. Like this, you are always giving but always receiving as well. It’s not easy but one can always start by trying. Another five lovely couples chose to share their special day with us and we are honoured to share their love stories with you all. Issued 5 times a year, I Do is a comprehensive wedding magazine that sells at €2.50 and is available from all leading stationers in Malta and Gozo. Phone 21345888 for more information or click to visit I DO webpage! Regular supplement dedicated to helping readers with all wedding related choices while giving them practical tips on a variety of subjects including flowers, music and where to spend the honeymoon of your dreams. Typically includes pieces by local professionals such as a psychologist who offers advice on how to handle stress before the wedding. 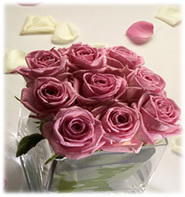 A regular item is the part that helps draw up your wedding budget so that your perfect day will be even more perfect. Updated details for 2019 will be uploaded as soon as available. 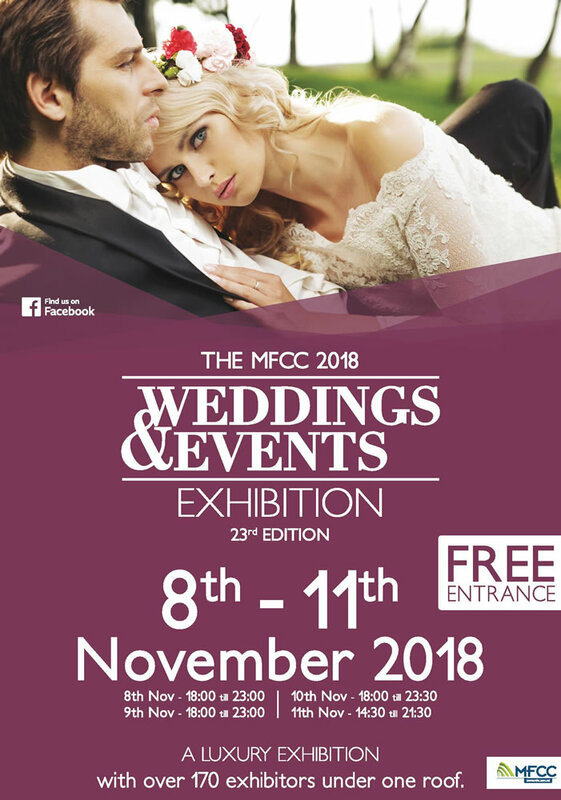 The MFCC Weddings Exhibition is a yearly event which brings together all the services and products related to the organisation of a wedding ceremony. All the to do list can be exhausted in a weekend. The exhibitors are varied with an endless list of items required to make that special day astoundingly memorable for the bride and groom. Here one finds bridal gowns, venues, caterers, car hire services, travel agents specialised in weddings, jewellers, horse drawn carriages, chimes, Invitations, souvenirs and all the other items required to make the wedding day a special one. 50c per day, Thursday free entrance. Entrance was free on all days. Bridal Parades started at 19.00 daily, advice on make-up, hair and beauty continued throughout. 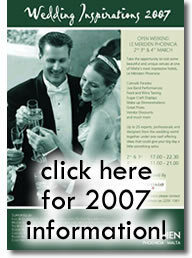 Click on the right for photos of Wedding Inspirations 2007! An Open Day for Venue show arounds, table set-ups and food tasting. Couples could enjoy the breathtaking sea views on our spacious terraces. Those who visited were offered Special Discounts and even the VENUE for FREE when booking selected packages. Click here for more information about Island Caterers Limited. An Open Day for a Venue show arounds table set-ups and food tasting. 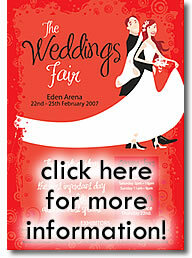 Those who visited were offered Special Discounts and 50% off the venue hire on selected dates. Sample delicious Wines and Foods and be eligible to win amazing gifts on the spot including pearls, a free honeymoon, free music for your wedding, wedding clothing and much more! From the program It-Tieg, Dr. Peter Muscat and Angele Licari will be present to speak to couples and offer advice. And if you want to participate on a live program of It-Tieg, you will be more than welcome. With 150kg of chocolate products available for tasting, this event is not to be missed by the real chocoholics!!! The most luscious chocolate panettones, chocolate-coated grissini and torroncini, truffles, various fondues and the ever popular chocolate fountain will be there to try. The best quality chocolate-based items from France, Italy, Belgium, Germany etc will be there during this feast of the cocoa bean. Entrance is free but a donation in aid of Ir-Razzett tal-Hbiberija is appreciated. Click here to Win a Luxury Christmas Hamper from Dical House! Vassallo & Xuereb Ltd participated in the Spring-Fair at MFCC Ta`Qali from the 10th till the 13th of April (both days inclusive) at Stand B14, where various discounts were be offered on all iron works. Open Weekend was held at Eden Lodge and Cottage Gardens in Zurrieq by Baldacchino Group. Click here for more information about Baldacchino Group. 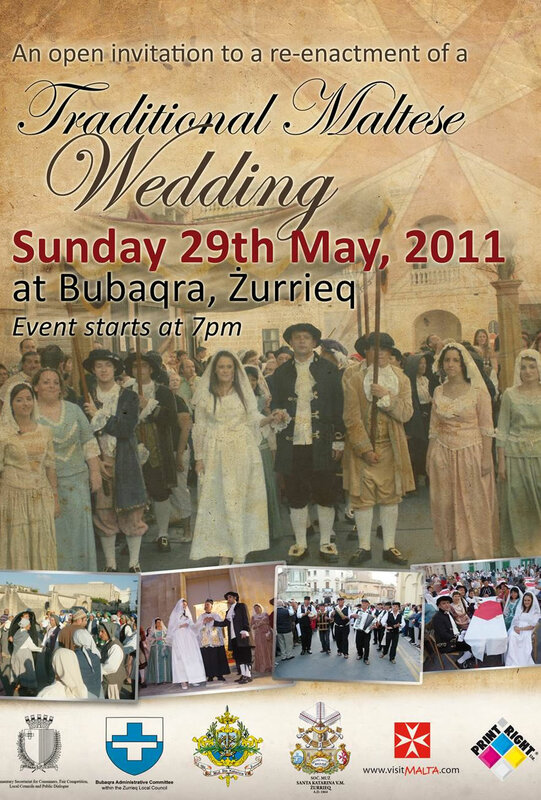 The Malta Council for Culture and The Arts invited the sub committee for culture within St. Catherine Musical Society of Zurrieq to repeat the re-enactment of the Traditional Maltese Wedding during the Imnarja Festivities at Buskett next Saturday 28th June at 11.00pm. The wedding ceremony will take place on stage followed by a wedding march that will take the wedding party around the gardens later. Into its 4th year this programme is presented by the well known musician, entertainer and presenter Frank Bonnici. The programme ‘It-Tieg’ which is broadcast every Sunday morning 11am on Net Television brings up a diverse show that is entertaining and informative dealing with every aspect of getting to that all important day. For the month of October, Fino presents the Open Week Event. New and fantastic offers are being introduced in the month of October on all furniture ranges and brands. With great furniture from top brands such as Veneta Cucine, Chateau d’Ax, Doimo, Tonin Casa and Ligne Roset amongst others, your choices are endless and the offers we will introduce - simply incredible! To make things more comfortable for you, we extended our opening hours till 9pm and will also be opening all day Saturday and Sunday. To mark the special occasion we will be serving wine by Camilleri Wines and canapés throughout the week after 5pm. On Saturday and Sunday, chef Jesmond Vassallo will be entertaining you with some fine delicacies and exquisite dishes. So make sure you pencil in the dates: from the 6th till the 12th of October, open all day from 9am to 9pm including Saturday and Sunday. The Fino Open Week Event - definitely not to be missed. 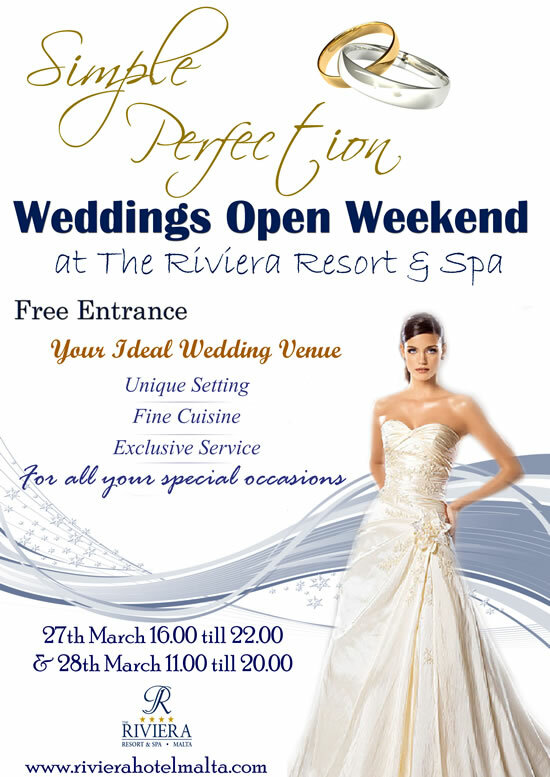 The Hotel RIU Seabank invited couples to a Weddings Open Weekend. Guests will be greeted with a Welcome Drink. Food will be available for sampling. Entrance is complimentary. Click here for more information about Hotel RIU Seabank. Book your wedding for 2009 and avail yourself of a 20% + 09% discount on the venue! This promotion will last until the end of November, 2008. Click here for terms and conditions. Experience a truly Magical Wedding at our Wedding Exhibition. Come and enjoy our food and drinks, in a beautiful environment surrounded by imaginative floral arrangements, cars, wedding dresses, wedding gift ideas, jewellery and invitations whilst listening to our DJ and experienced band. A National Conference regarding Marriage is to be held on Saturday 7th February 2009 between 9am and 12:30pm. This is part of the Progett Impenn campaign. In the hope that the Strengthening of Marriage (including civil marriages) becomes a priority in the discussion and action in our country, for the benefit of the whole of society, the KDF (Kummissjoni Djocesana Familja - Diocesan Commission for the Family), together with Cana Movement and Caritas, have created PROGETTIMPENN - b'Risq Zwieg B'Sahhtu (a project in favour of a healthy marriage). PROGETTIMPENN will only succeed if even you participate in it. If you have any suggestions or criticism please contact us. We thank you in advance. Step into our extraordinary bridal fair, showcasing the latest wedding themes and trends, where you can plan your entire matrimonial bliss in just one day, in just one location. Programm fejn se jkun diskuss is-suggett dwar it-Tieg, li se jitella fuq l-istazzjon Smash TV kull nhar ta' Tnejn filghaxija mit-tmienja u nofs sal-ghaxra u repetizzjoni il-Hadd min nofs in nhar sas-siegha u nofs. Programm ta siegha u nofs fejn hu mistenni li se jkun segwit minn hafna telespettaturi Maltin u Ghawdxin. Se jkun prezentatt minn Commander Jay u flimkien mal-mistiedna tieghu jistghu jghinu lill-gharajjes fl-ghazliet taghhom f'din il-gurnata specjali. Ghal aktar taghrif, ghafas hawn (click here). Two vibrant days when the RDS will be transformed into an exciting romantic wedding & honeymoon haven for couples who are wedding window-shopping. Book your entire wedding and honeymoon and meet face-to-face with long-established wedding professionals and experienced honeymoon travel agents who will assist and guide you in making your choices. Many exhibitors will have special discounts available. Click here for more information about Hotel Phoenicia. 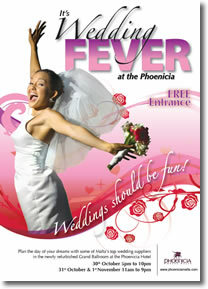 "Everything you need for the Perfect Wedding"
Getting married in style is a time consuming process at Wedding Fever in the newly refurbished Grand Ballroom at Hotel Phoenicia you will find some of Malta's top wedding suppliers willing to help you plan the day of your dreams in just 3 days. Weddings & Homes is an established magazine every bride must have packed with information, wedding dresses and useful tips for your Big Day. 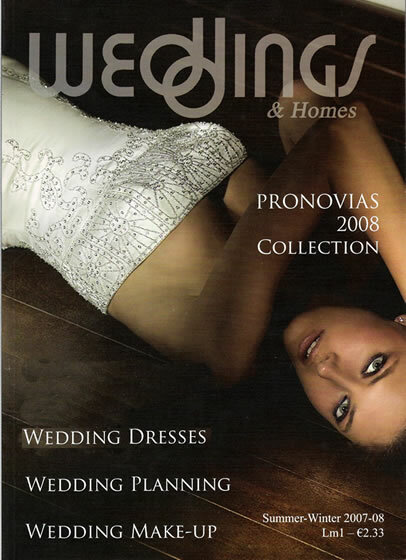 Weddings & Homes has been the leading bridal magazine in Malta for the past 16 years. 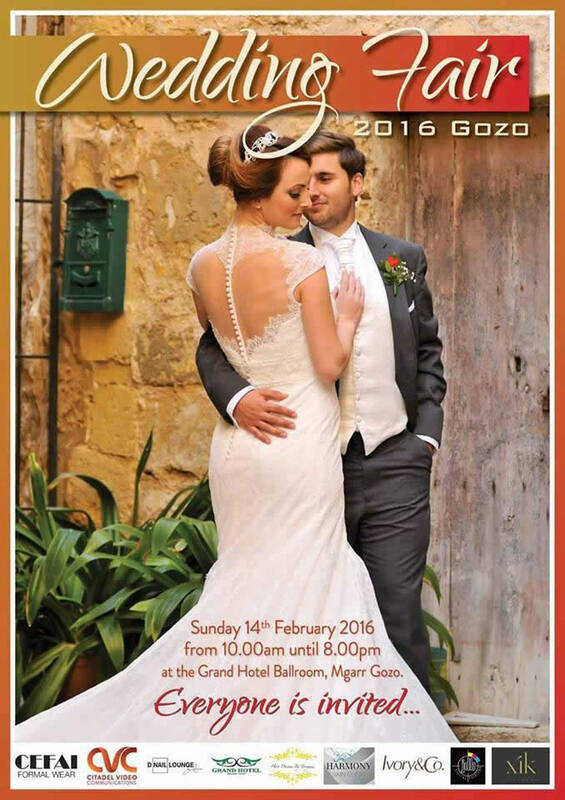 The magazine caters specifically for prospective brides in Malta and Gozo and can be found in leading stationers and bookshops. Cyan Ltd. is responsible for the publication of Weddings & Homes Magazine. No bride can afford to be left without a copy! 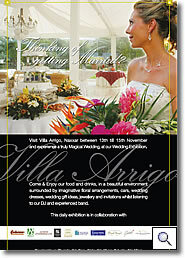 Come and benefit from the Weddings' Fair offers, on souvenirs and invitations which will end on the 13th December 2009. Visit our shop and place your booking on Saturday 12th December between 9:00 and 19:00hrs or on Sunday 13th December between 10:00 and 22:00hrs. For more information about the Open Weekend, click here. Click on the right for more information! 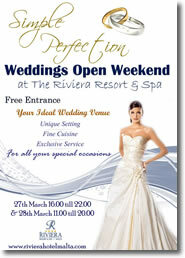 Weddings Open Weekend at Riviera Resort & Spa. Remember that you need to register if you plan to attend! To register simply go to the webpage and enter your details. 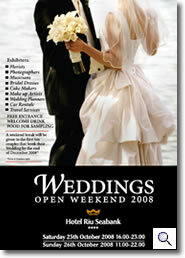 A Wedding Supplement that features interesting information to help you plan your big day. 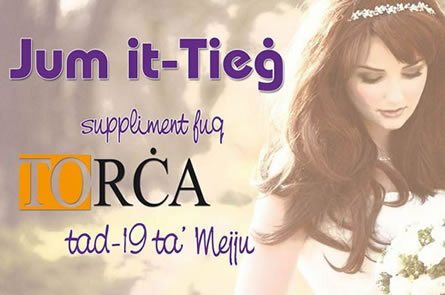 Venue: Bubaqra, Zurrieq at 7.00pm. Click here for more info and photos of past re-enactments. Click here to enter Sas-Sitta's webpage. Bliss is distributed on a Saturday with The Times. For 2011, publication dates are March 28th, June 4th , November 5th. 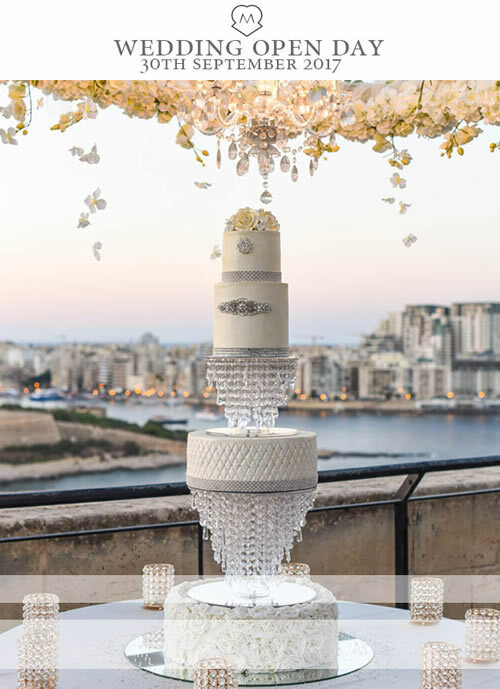 Bliss is Malta’s leading Home & Wedding Magazine, not only due to its high distribution and readership but also because of its editorial content which provides both inspiration and guidance to couples who are buying and decorating their new property and preparing for their wedding. Bliss is packed with human stories, real weddings, beauty section and much more. It leads with editorial content that provides both inspiration and guidance, and serves as an essential reference guide for couples – From features on local weddings to interviews with prospective brides and grooms, as well as homeowners, to the latest related to wedding dresses, fashion, make up and jewellery, catering, flowers and venues and all other aspects related to the organisation of the wedding. The magazine also features a professional wedding fashion shoot by leading models, stylists and photographers as well as a detailed home section. Click here for more information about Ivory&Co. Click here for more information about Meli Wedding Cars. Organizing a wedding is no joke. From booking a venue to choosing a wedding gown, from booking a caterer to selecting the finest champagne, to booking a dreamy honeymoon…it’s easy to get lost in the preparation and miss out on all the really special stuff. The ‘Sunday Circle’s Wedding Supplement will make wedding planning effortless. We believe that weddings should be fun, not stressful. That’s why our team is doing the hard work, giving the prospective bride and groom time to focus on enjoying themselves instead. The programme consists on various subjects that are important for couples getting married. 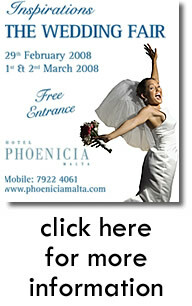 Our BrideMalta page is regularly updated so take a look to see what's next. Various gifts to be won! The MADC is proud to announce its next production for the season: Secret Bridesmaids Business, written by Australian writer Elizabeth Coleman. This sparkling comedy, directed by Chiara Hyzler will be staged at the St. James Cavalier in Valletta on the second and third weekend in May. The play centres around the final night before Meg’s wedding day – the day she has been planning since she was a little girl. However all is not well. Her bridesmaid, Lucy has heard a rumour about the extracurricular activities of the groom-to-be and as she ropes in Matron of Honour Angela, the two bridesmaids debate whether they should spill the beans to the bride, or let her move on to marry a man who ticks all her boxes. Secret Bridesmaids business deals with the complexities of love, friendship and commitment in a funny yet illuminating manner. The play features an excellent cast including Vanessa McDonald, Kate de Cesare, Nicola Abela Garret, Cathy Lawlor, David Ellul and Antonella Mifsud. This play will be showing on the 10th - 26th May. Tickets cost €15. Bookings can be made online at www.madc.com.mt, by emailing info@sjcav.org or by calling 21223200. Visit Le Méridien Wedding Showcase this January and get a chance to win Gift Vouchers extended by suppliers @ Le Meridien St. Julians Hotel & Spa. bride&co. 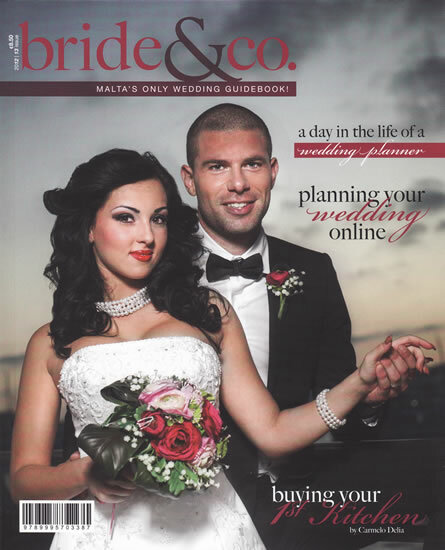 is Malta's ONLY wedding guidebook! Costs ONLY Eur3.50 (instead of Eur8.50) and available for pickup from Lija, San Gwann or Naxxar, or €5 with delivery. Bride&Co. 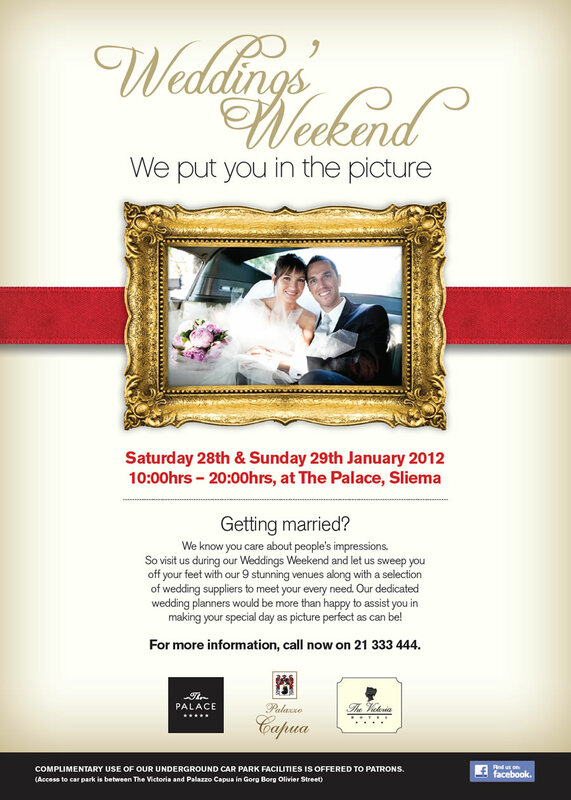 is the first ever comprehensive Maltese Wedding Book that is totally ‘Made in Malta’. With a magazine-style approach Bride&Co makes full use of beautiful photography taken by some of the top local talent. The content however goes much further than a periodical, providing inspiration and knowledge through pages that are jam packed with professional ideas and advice. The book tackles Pre-Wedding, The Wedding, Post-Wedding & Living Together, making Bride&Co. a handy reference as you journey through your wedding preparations. Every page will reveal new and exciting options for your big day. DBride, an educational programme that helps couples to plan their wedding day. Meet wedding experts from different sectors who will explain how it works, watch bride make-overs, follow exciting challenges for couple and so much more! Popular actor and TV presenter Hermann Bonaci together with his wife Antoinette will be special guests during the “Celebrity Weddings” interview during the last programme of “Se Niżżewġu” series, that will be aired this Sunday between 10.45am and 12.30pm. Hosted by Debbie Scerri and Mark Spiteri Lucas, and produced by Spiteri Lucas Entertainment, during the programme there will also be useful information regarding wedding planning and organization, bridal dresses, jewellery, music, the cocktail bar set up and female fashion trends amongst others. Another attraction during this week’s progamme will be a candid feature with some humor featuring some mistakes made by the presenters during the filming of “Se Niżżewġu”. There will also be music slots by the Spiteri Lucas Band. Throughout the programme, televiewers can participate via SMS with a chance to win attractive prizes. Click here for more information about Castello Dei Baroni. 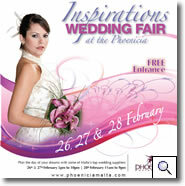 Don’t miss Inspirations' wedding fair at the Phoenicia from the 27th February to 1st March! 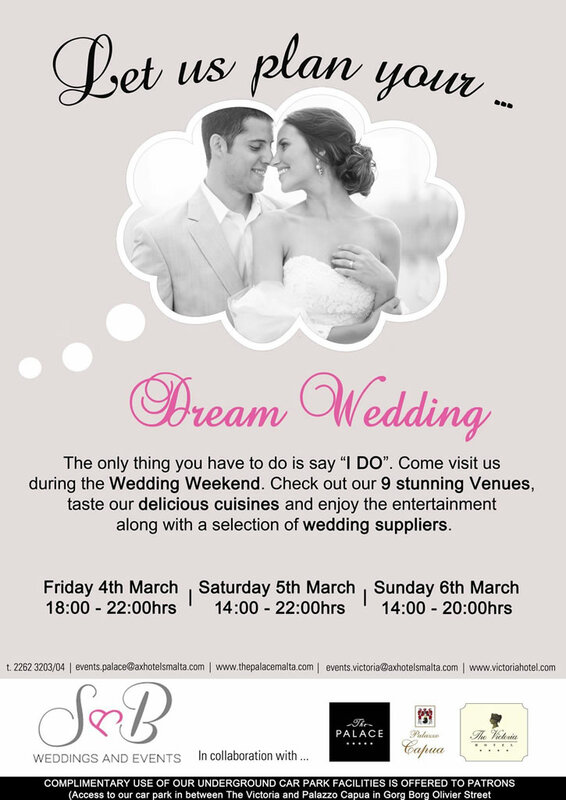 With over 50 designers and professionals from the wedding world under one roof the inspirations wedding fair has everything you need to make your wedding a day to remember! The Inspirations Wedding Fair ensures that couples will find everything they need for a perfect wedding day with some of the finest wedding suppliers on the Island the aim is to provide a relaxed, professional and friendly service that will take the stress out of the big day. Opening hours: Friday 7pm – 11pm, Saturday & Sunday 11am - 8pm. For more information view the Facebook page. Chateau Buskett is a unique venue in a stunning setting at the heart of the picturesque Buskett Gardens, with the romantic backdrop of the Majestic Verdala Palace and breath-taking views across the Island. This versatile venue allows your creativity to come alive in planning your dream Wedding Day. 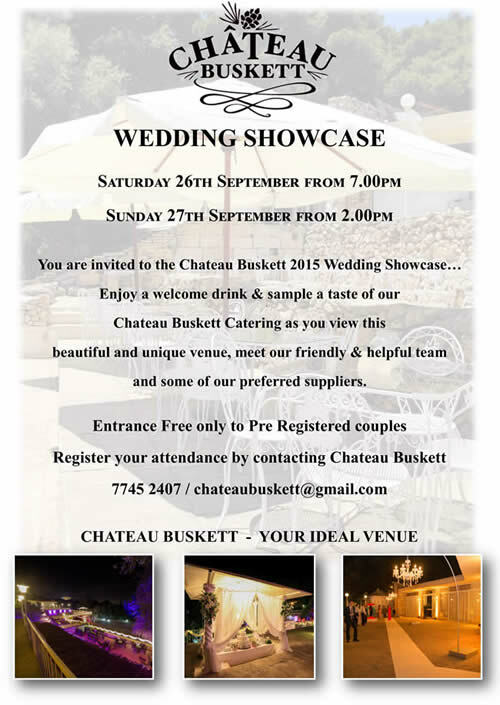 We invite you to join us at Chateau Buskett on Saturday 26th and Sunday 27th September for our 2015 Wedding Showcase. The venue will be set up as if for a real Wedding, giving you ideas and inspiration on design, furniture and decorations. 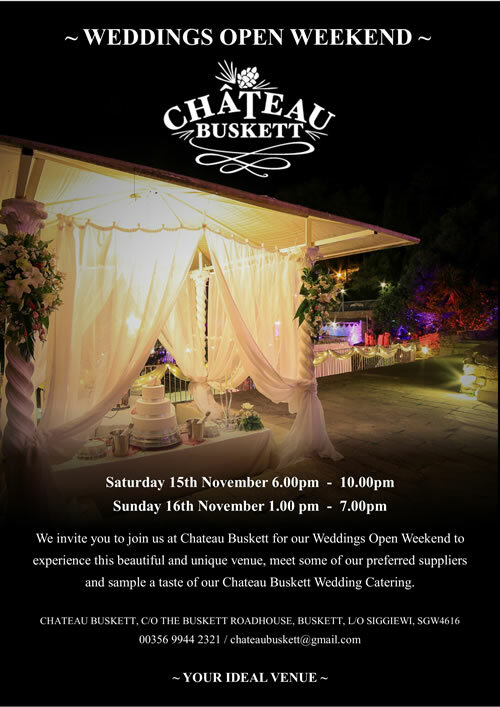 You can enjoy a welcome drink and sample a taste of the Chateau Buskett Catering, which will be served throughout the evening. Our friendly and helpful team will be on hand to answer any queries you may have. At Stylish Civil Unions & Honeymoons you will meet gay-friendly vendors who are ready, willing and able to make wedding dreams come true whether its bride-bride or groom-groom! In addition, you will be able to save money too. 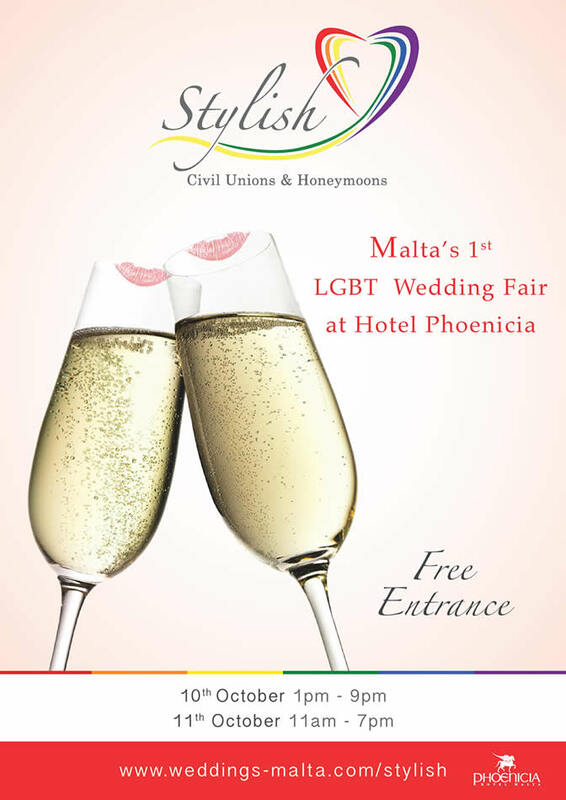 Civil unions carry the same needs as traditional weddings and the Stylish Civil Unions & Honeymoons is an excellent opportunity for attendees to meet face-to-face with many businesses that provide the professional services you need in planning this special occasion. consultants, transport, honeymoon destinations and other professional wedding services, you will find everything you are looking for to prepare for the big day in style. Many of the exhibitors will have special packages available for this event. This October, catering leaders Caffe Cordina will be hosting a wedding exhibition with a difference. Taking place in none other than Smart City, on the 16th, 17th and 18th, couples are invited to visit carefully selected vendors, and ultimately make bookings in preparation of their celebration. In so doing, every guest stands the chance of winning their dream honeymoon through a present vendor, flyaway*. The vision of The Wedding Weekend differs significantly from fairs the island has seen in recent years, immersing visitors in the wedding atmosphere by truly emulating one. 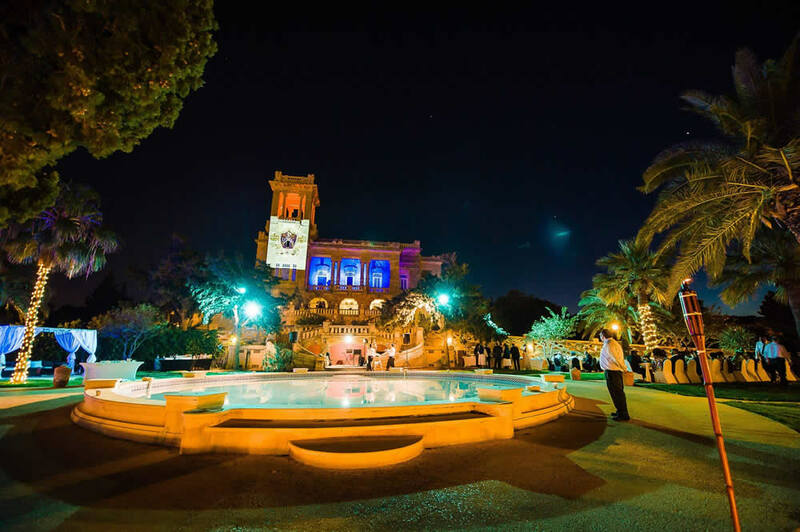 With a grandiloquent atmosphere in a beautiful setting, the event is to be nothing short of excellent. 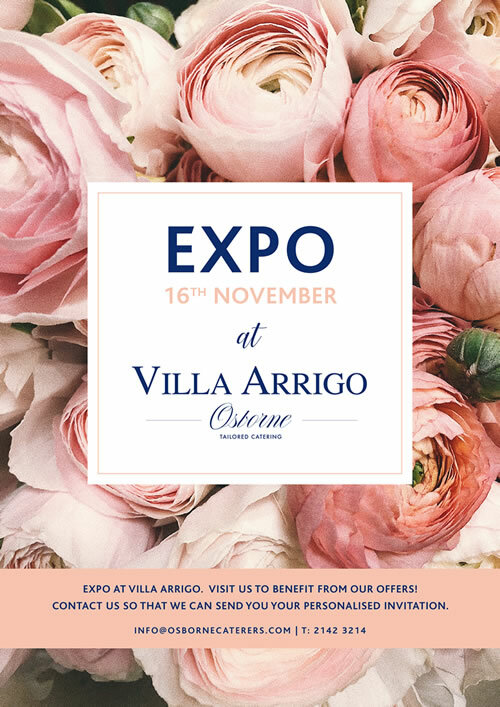 Lattughi Caterers invite you to a wedding fair at Palazzo Villa Rosa, this October. 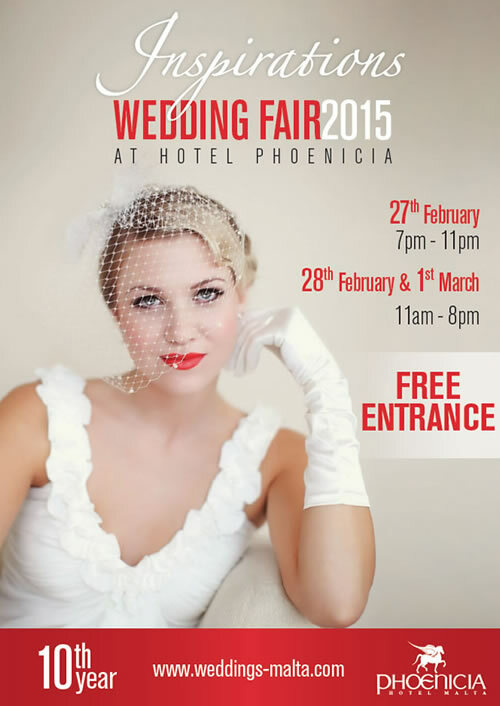 Your chance to win a €500 voucher towards your dream wedding at the Weddings Fair! Visit the White Weddings by Synergix stand (#43) at the upcoming MFCC Weddings & Events Exhibition (Nov 5-8), take a selfie at our photowall for your chance to win a €500 voucher*. Give your wedding that extra edge with our top of the range lighting and sound equipment; modern furniture and our huge range of decor to create the perfect ambience for your wedding day. • General decor and much more! We are here to help make your day as unique and special as possible, so get in touch with us today! 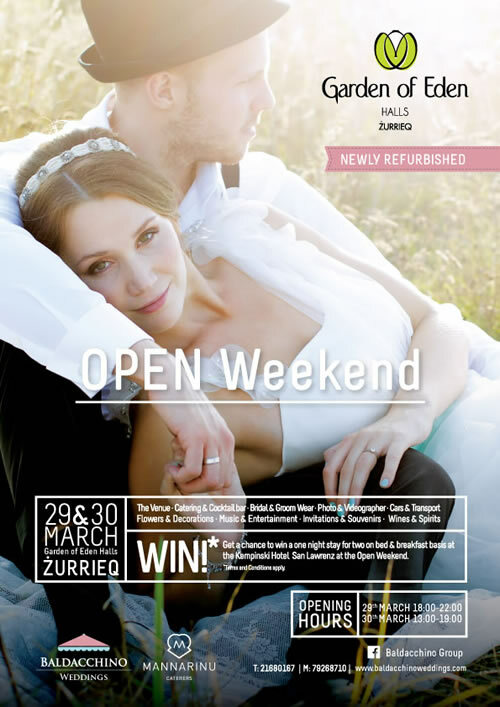 WIN a wedding planning package worth Eur650! We'll post all selfies on Facebook and judge the winning entry after the closing date. 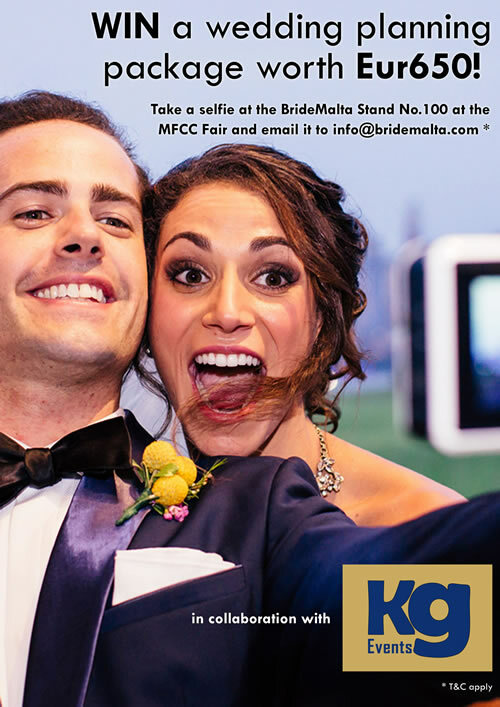 Gaining 'likes' may help sway the judges' opinion but you never know ;) Just make sure that you like our Facebook page and that of the amazing sponsoring vendor KG Events. Terms & conditions apply *. 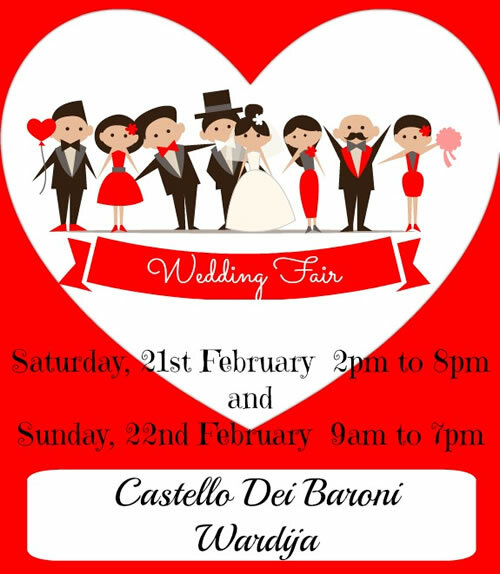 Set a reminder on your mobile... see you at the Weddings Fair! 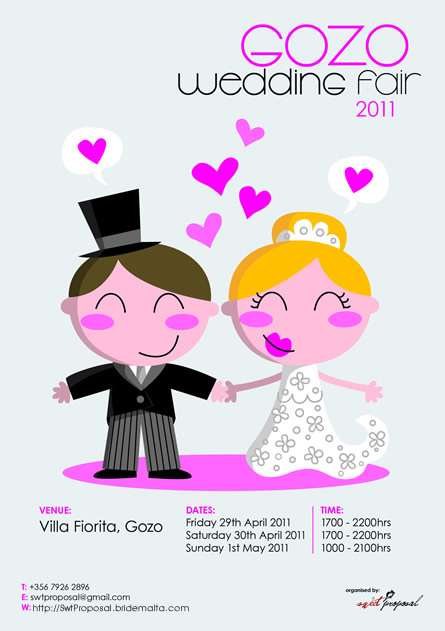 - Prize is a partial wedding planning package valued at Eur650 as detailed here. - Competition closes at midday (12pm) CET on 22nd November 2015. - The winning entry will be judged from amongst entries received. - The judges' decision is final and will be unconditionally accepted by all interested parties and no correspondence will be entered into. - Prize winners will be informed by email within 20 days of closing date. - Prize winners may be announced through any media of choice. - Participants must be 18 years or older at time of entry. - No responsibility is assigned to BrideMalta in the event of lost, incomplete or damaged entries. - Date for availing of package is subject to planner's availability. - Gozo Foreign Weddings will incur further additional travel costs. - Prize is not transferable unless by prior agreement with sponsoring vendor. - Prize may only be used for weddings happening in 2016 and 2017. - The prize may be redeemed with a higher service against payment of difference, by prior agreement with sponsoring vendor. - Should winning couple refuse the prize and refuse the right to transfer said prize, BrideMalta reserves the right to award it to the second highest judged entry. 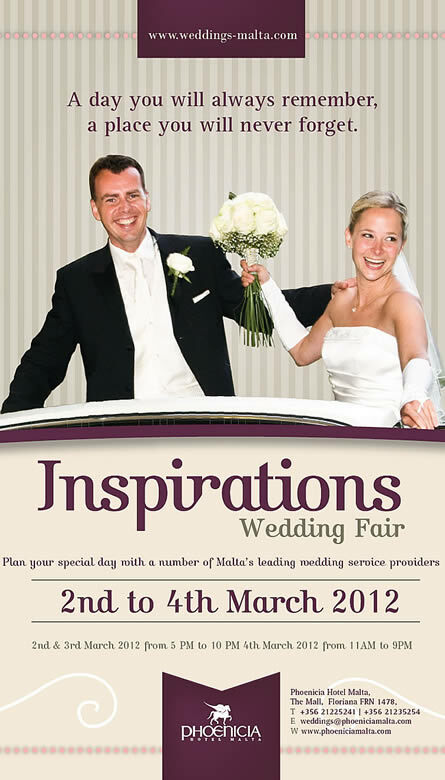 For more information visit http://Grandhotel.bridemalta.com. 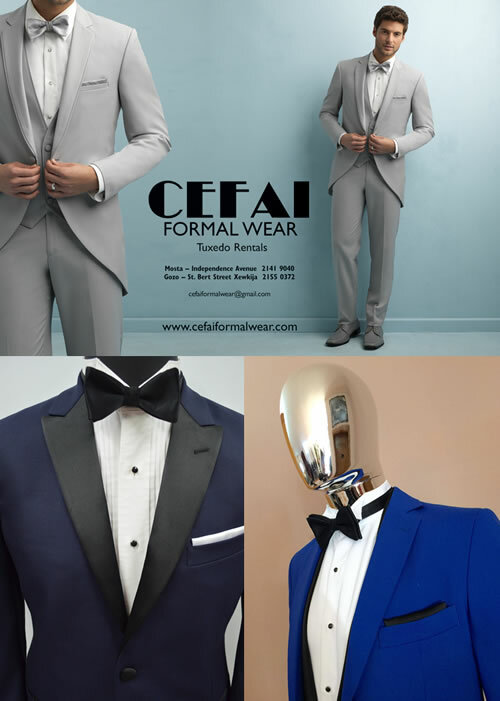 Cefai Formal Wear announces that they will be present and showcasing new styles. 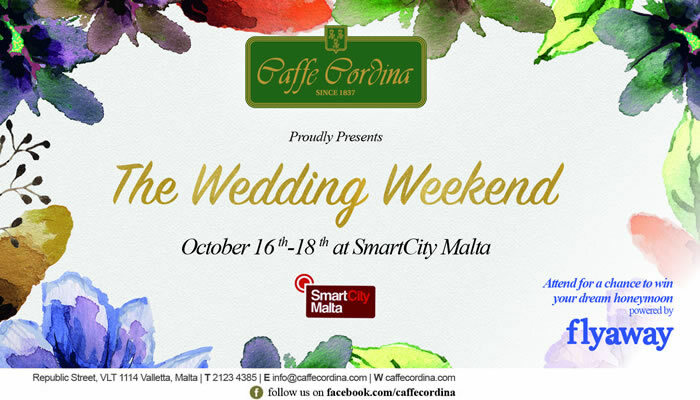 For more information visit http://Cefai.bridemalta.com. 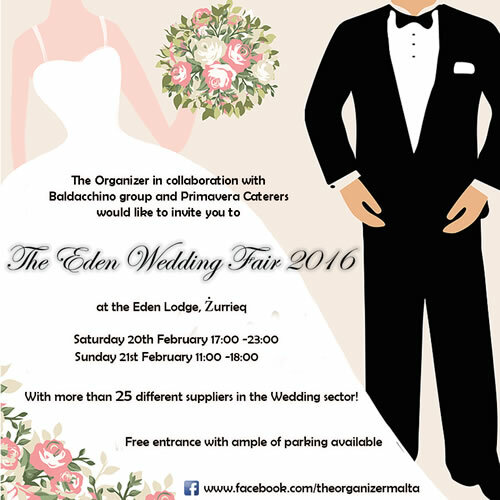 The Organizer in collaboration with Baldacchino group and Primavera caterers would like to invite all those couples planning their wedding to The Eden Wedding fair taking place this 20th & 21st February at The Eden Lodge & Cottage Gardens, Zurrieq. Primavera Caterers, Baldacchino group, The Organizer, Commander Jay Events & Entertainment, Zone5ive Band, Dorothy Baldacchino Soprano, James Aquilina the Mixologist, Bow Malta, Digital Eye, Sean Azzopardi, Mr & Mrs VIP Red Carpet, The Carpet Man, El Shaddai Choral group, The Organizer Whiskey Bar, Demicoli Garage, Jackson's Pipe Band, Nadege.Renee Jewellery, Plethora Dance Coreographer, AF Print , Bliss Favours, Eva Marie Bridal Wear, Make up by Claire Azzopardi, Cigar, Cheese & Champagne, PhotoBooth Malta, Pisani Florist, BG Fireworks Display, The Event Specialist, Fiona's Candy Cart. Entrance is Free and ample parking is available! Take the opportunity and find everything you need under one roof. 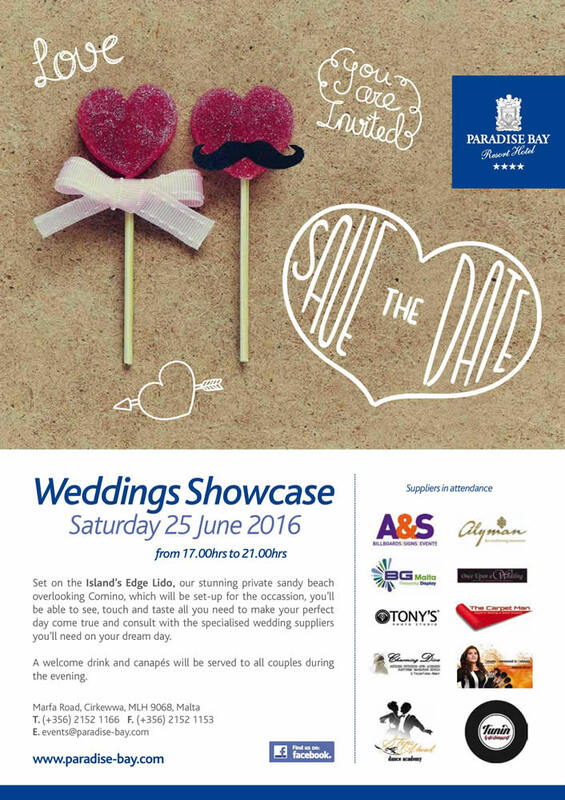 Organised by S&B Weddings in collaboration with The Palace Hotel. Now in its 11th year, Inspirations the annual wedding fair at the Hotel Phoenicia takes place 15-17 July 2016. 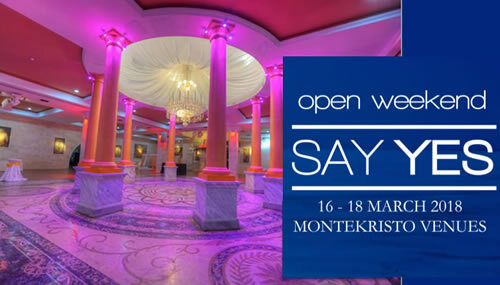 This annual event with over 70 exhibitors takes place in the stunning Grand Ballroom and interconnecting rooms of The Phoenicia Hotel. Being centrally located makes the fair accessible to couples from all over the island. Click here for more information about Paradise Bay Resort Hotel. 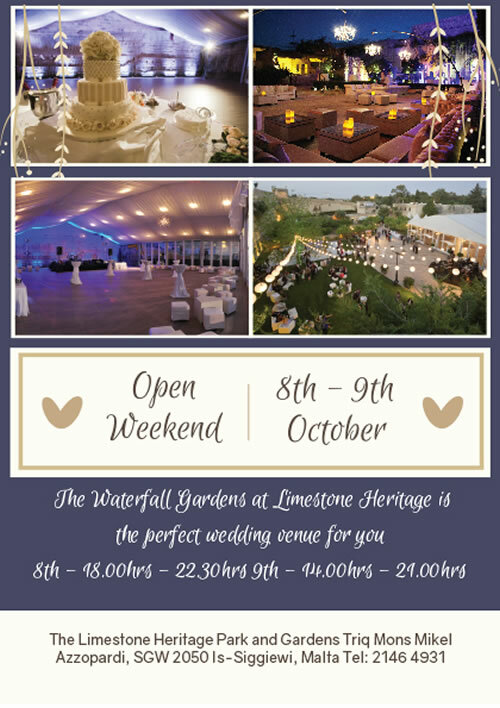 Open Weekend at The Waterfall Gardens, Limestone Heritage on the 8th and 9th October. 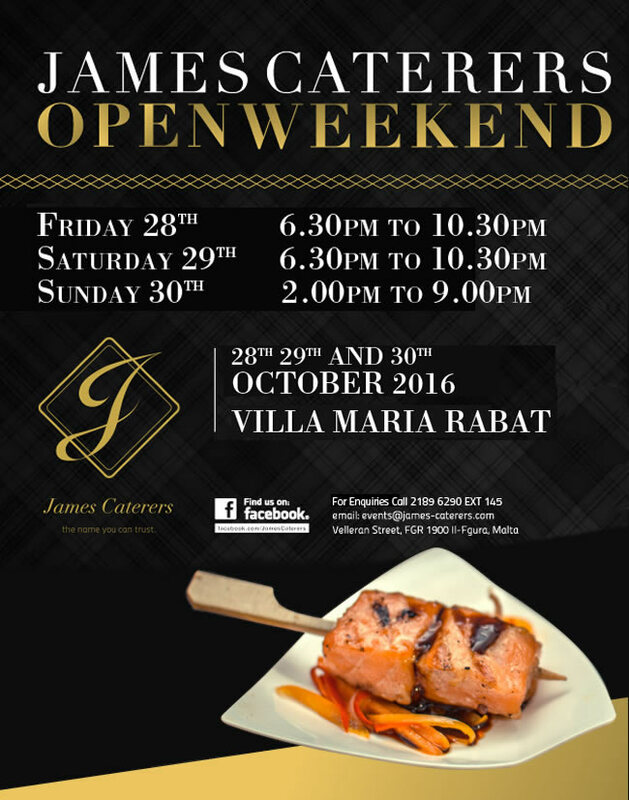 28th, 29th and 30th October are the dates to pencil down in your diaries for Villa Maria's wedding open weekend in collaboration with James Caterers! Greeted with a welcome drink, the guests are invited to come and benefit from special discounts given by Villa Maria, James Caterers and all the other participants taking part in this one stop organization event for your wedding! Delicious finger food by James Caterers will be also going around throughout the whole open weekend! 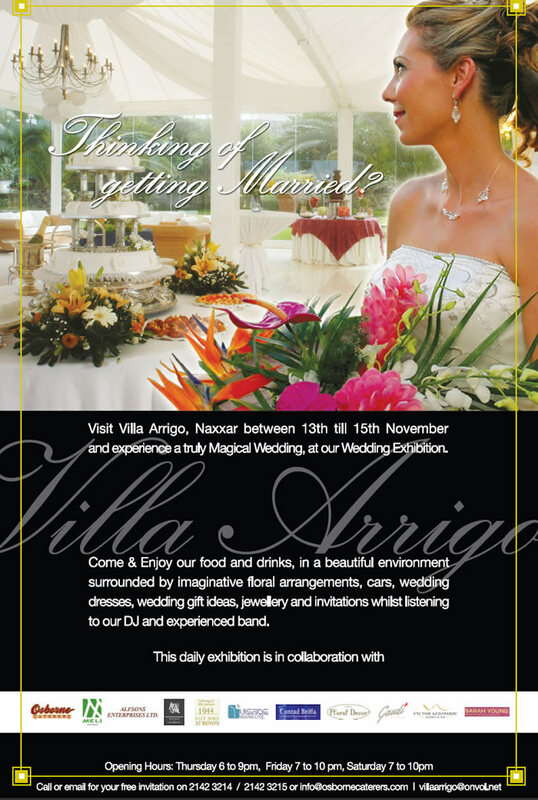 Moreover, Villa Maria would like to invite you to visit their stand at the MFCC wedding fair which is to be held between the 3rd and 6th November. Stand number 71. See you there! 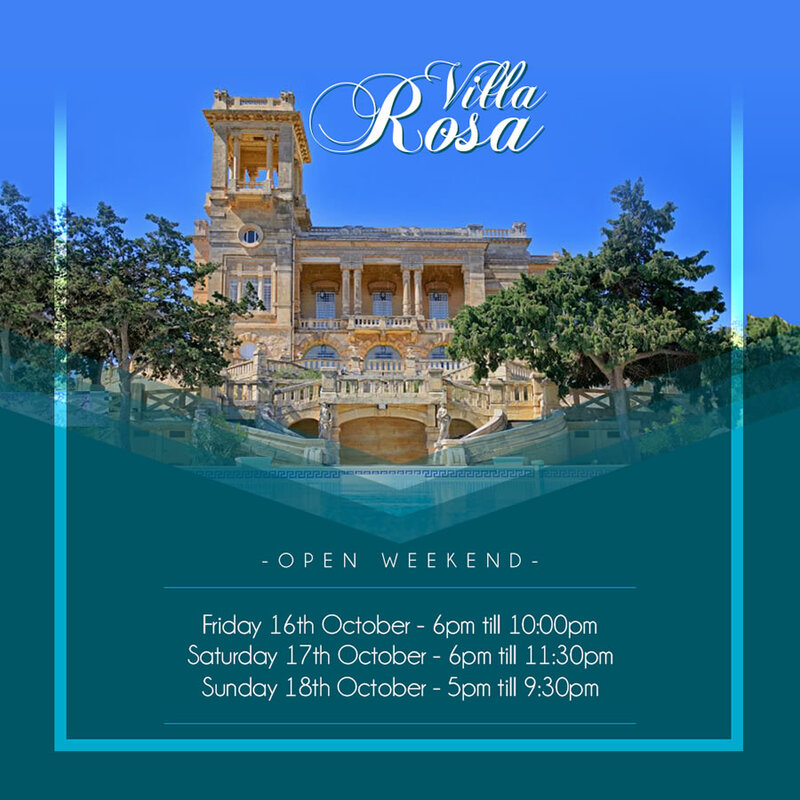 For more information about Villa Maria visit http://VillaMaria.bridemalta.com. 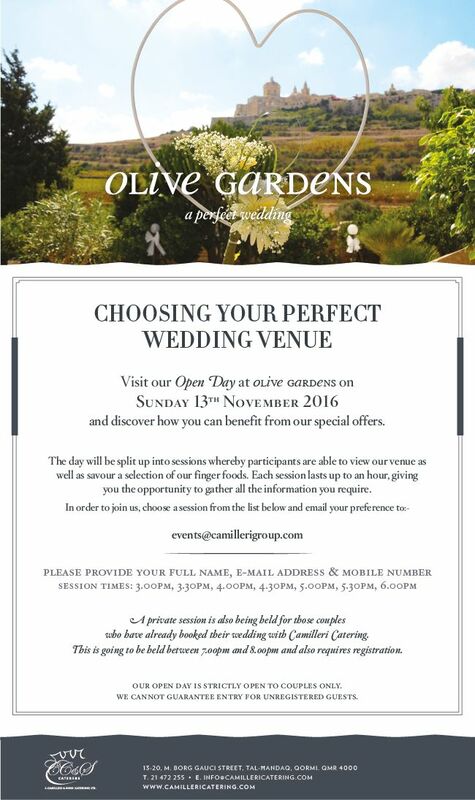 We would like to invite you to our Open Day at Olive Gardens on the 13th November between 3.00pm and 6.00pm. Pre-book your attendance now! 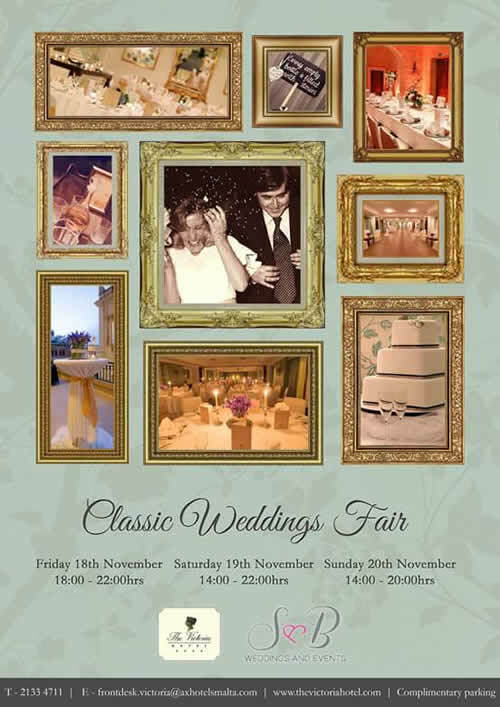 C. Camilleri & Sons (Catering) Ltd.
Classic Weddings Fair at The Victorial Hotel, organised by S&B Weddings. For more information about S&B Weddings visit http://sbweddings.bridemalta.com. Now in its 12th year, Inspirations the annual wedding fair at The Phoenicia is taking place on the 4th and 5th March 2017. The event takes part in the Grand Ballroom and adjacent venues in The Phoenicia. With an expected 75 or more exhibitors, the forthcoming Inspirations 2017 is sure to exceed previous events. Being centrally located makes the fair accessible to couples from all over the island. 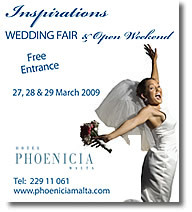 For more information visit http://weddings-malta.com/fairs-events/inspirations-weddings-fair. Call us on 9974 8923 or send an email to innoventmalta@bridemalta.com to arrange an appointment but walk-ins are welcome! Set in the idyllic countryside in the limits of Rabat and providing an outstanding, unique and original alternative to the average wedding venue is The Club House, with the adjoining Vault and Penthouse. These venues are steeped in history and provide a location with character. We are certain that visiting the venue will most certainly capture your imagination. 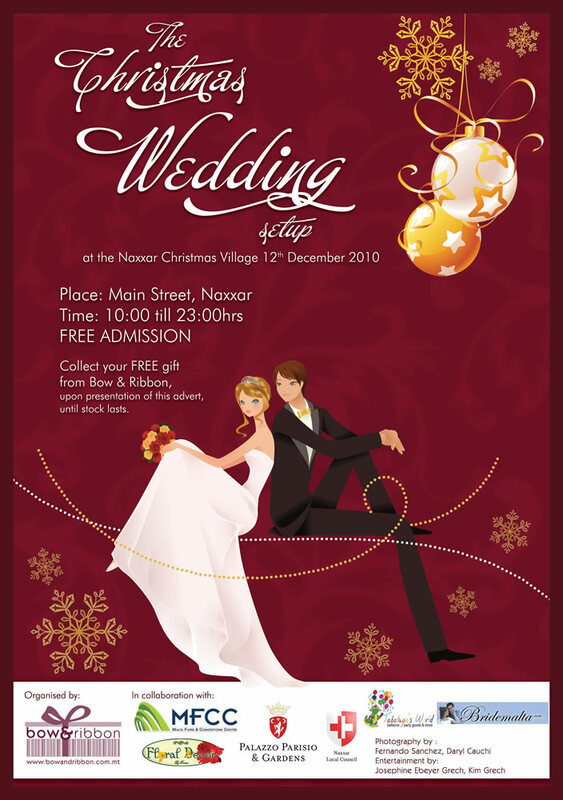 For more information about Gianpula Village visit http://innoventmalta.bridemalta.com. 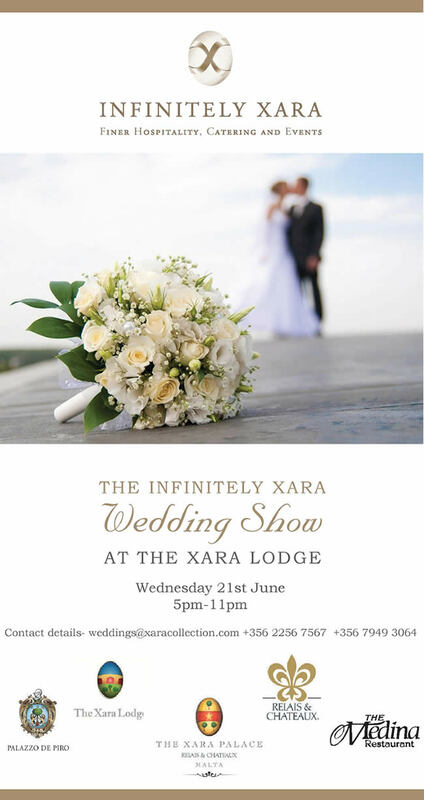 For more information about Infinitely Xara visit http://InfinitelyXara.bridemalta.com. Mannarinu Caterers will be officially launching its open day at the Eden Lodge Zurrieq on Saturday 30th September 2017, from 4pm till 10pm. Couples will have the opportunity to view our new wedding catalogue along with our recently launched wedding food items. We have earned the exclusive caterer status for Hastings Garden in Valletta. Couples are urged to book a meeting slot by completing the attached booking form (https://tinyurl.com/y7etmdec). You are invited to sample some of our innovative menu items and delicacies. 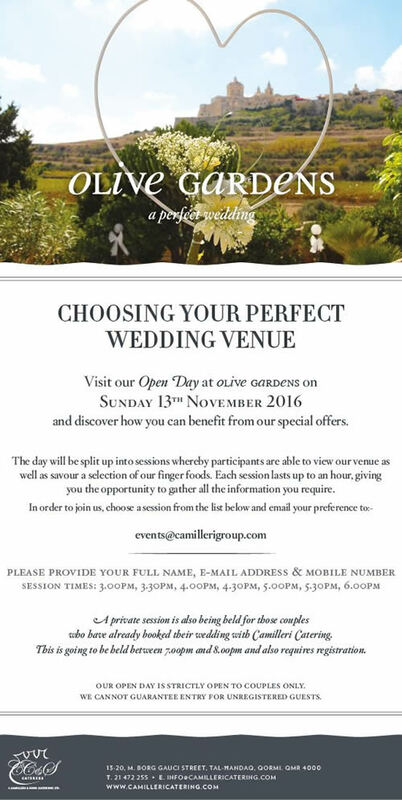 For our open day we’ve teamed up with some of Malta’s top wedding suppliers so if you are in the early stages of planning your wedding or are finalising the details of your big day, our open day is a must visit. For more information about Mannarinu Caterers visit http://Mannarinu.bridemalta.com. 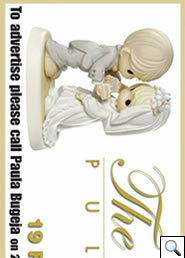 Issued once a year Wedding Supplement will feature interesting information to help you plan your big day. If you are planning to tie the knot soon, then the "Say Yes" Wedding Fair held at Montekristo Estates is the perfect event for you. 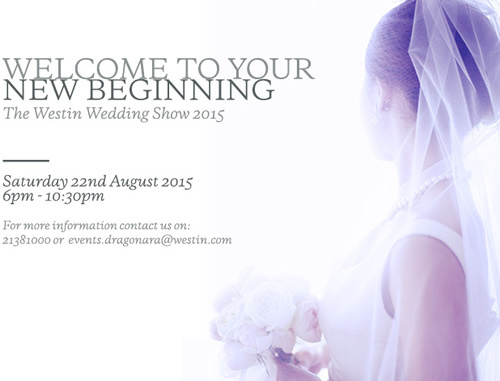 There will be carefully selected exhibitors to ensure you have the best choice for your Big Day. From flower arrangements to chauffeur service, from caterers to wedding gown boutiques, there is all you need to make your Wedding Day fabulous. 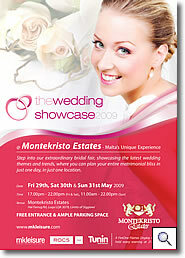 The event will be held at Montekristo Estates, where you will be provided with ample parking and easy access. Some special surprises have been prepared and attractions that will keep you entertained during your visit. 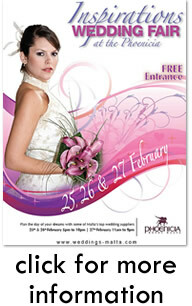 FREE ENTRANCE so you can visit more than once throughout the 3 day Malta Wedding Fair, and bring your friends and family along. 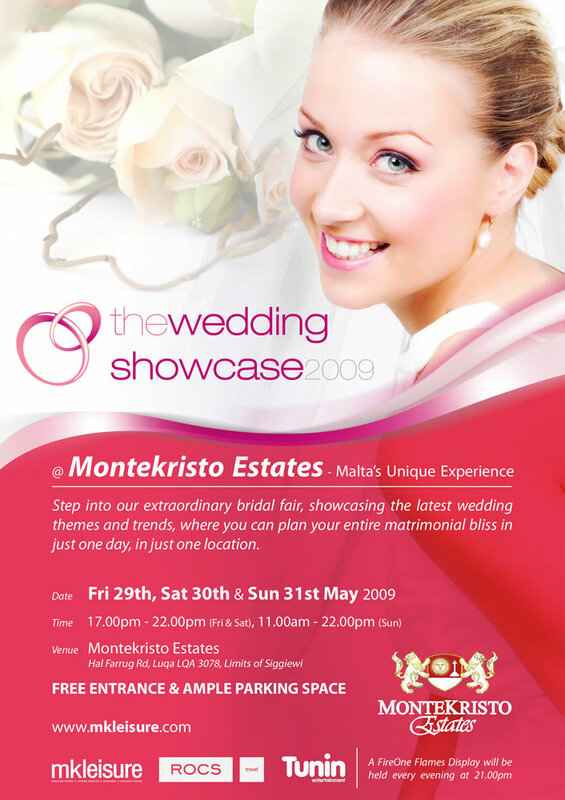 For more information about Montekristo Estates visit http://Montekristo.bridemalta.com. Articles will be about decoration, jewelry and flowers, souvenirs, the role of children in a Wedding, who should pay, the different entertainments and unusual venues (in the air, on a yacht, unusual site...) and the benefits of a Wedding Fair. Weddings supplement out on the 1st November with The Times. Expo on 16th November at Villa Arrigo. Visit to benefit from offers! Contact so that you may receive your personalised invitation.